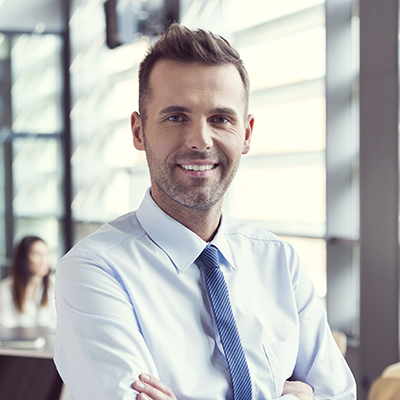 Our program will prepare you to be an effective health care administrator/manager, to evaluate research applicable to your areas of focus in health care, and to demonstrate effective communication to manage your facility/staff. In this program, we hold the following to be an unequivocal truth: we’re all created by God. When you’re an individual undergoing treatment in a health care facility – whether it’s acute, community, or long-term – it means you should be treated with utmost care and dignity. That’s your role as a health care administrator/manager. To help uphold the dignity of each of your patients while providing the highest level of quality care. It will also teach you how to be an effective health care administrator/manager, how to evaluate research results applicable to a health care practice, and how to demonstrate effective communication – in writing and presentations. The average undergraduate student award is $16,603. 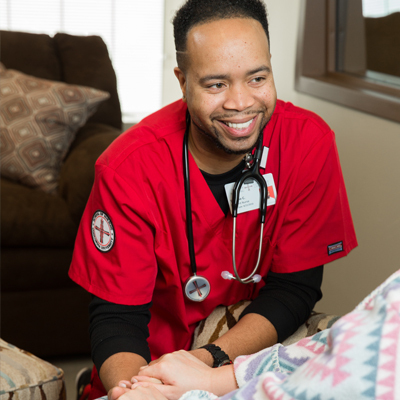 Our traditional undergraduate program in Health Care Administration will prepare you for roles that may manage a department and/or a health care facility. As someone who may have interest in healthcare, but not necessarily direct patient care this may be the degree for you. Through your courses, you will be exposed to business management, finance, human resources, marketing, and more. In addition, this program will equip you with the ability to evaluate research results that are applicable to your health care practice, and teach you how to create a reflective self-plan for personal and professional growth. You’ll discover an ability to recognize and analyze current trends and issues related to health care management, which will help you grow throughout your career. Our graduates go on to work in hospitals, long-term care facilities, medical groups, medical device or pharmaceutical companies, other clinical settings and even insurance companies. You will be prepared with organizational, managerial, and leadership skills to lead a team. As well as, critical thinking and analytical skills to adequately assist, support, and lead among different areas in healthcare. There are so many intricacies to working in the complex field of health care. This program focuses primarily on managing resources in a health care setting while working with others in the field of health care. It all starts with your ability to recognize every individual as a holistic being created by God – someone whose dignity, worth, and rights deserve to be respected and upheld. This program will help you grow adept at analyzing different health care systems. You’ll grow an ability to synthesize knowledge from the sciences, humanities, and management theories as a basis for problem-solving and decision-making. You will be expected to display a willingness to work cohesively and communicate with members of the interdisciplinary health care network. As a student in this program, you will be required to complete an internship and have opportunity to work in our new collaborative Speech-Language Pathology Clinic in the Robert W. Plaster Building (on campus). During this time, you will collaborate with other practitioners, clinicians, administrators, and patients to gain invaluable experience without having to go beyond the CUW campus. Additionally, you are encouraged to participate in the – Next Generation Healthcare Leaders (NGHL), a student healthcare group supported by the Wisconsin Chapter of the American College of Healthcare Executives (ACHE). This will also provide accelerated opportunities for networking and access to local, state, and national healthcare leaders and decision makers to assist our aspiring students who are committed to a career in health care. It’s time to help you become a Cardinal! Just follow these simple steps to complete your application. Send your official ACT or SAT scores. Scores on your high school transcript will be considered official. If your school does not put scores on transcripts, please contact ACT or College Board. *Transfer students with less than 60 college credits completed will also submit official high school transcripts. Students who have less than 30 college credits also need to submit official ACT or SAT scores. Scores on your high school transcript will be considered official. SAT equivalent of 940 or higher for combined math and evidence-based reading and writing (for tests taken after March 2016). *If your GPA or ACT score falls below the minimum for acceptance, your admissions counselor may ask you to retake the test or supply additional documents, such as an essay or letters of recommendation, to complete the application. English: At least three units, but four are strongly recommended. Mathematics: Two units of college-prep math, preferably one each in Algebra and Geometry. Natural Science: Two units, preferably one each in Biology, Physics or Chemistry. Social Studies: Two units, preferably one each in world history and American history. Liberal Arts: Two units of the same foreign language or additional units in one or more of the other listed subjects or in fine arts. Other Electives: Five units from any area of academic study, but ideally from the areas listed above. German or Latin is recommended for pre-seminary students. Suzanne Siegle serves as the campus dean and associate professor of business for CUAA. 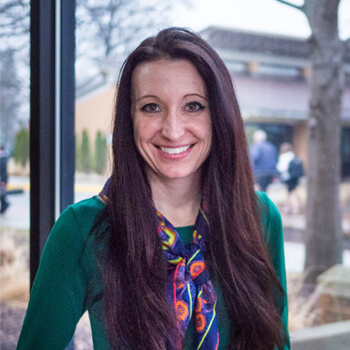 She teaches business, leadership, entrepreneurship, and legal courses; serves as TIX compliance officer and pre-law advisor; Licensed Atty in WI and MI; Serve as Director of Administration for CUAA and performs legal contract review and counsel for both campuses. Please select the area that best describes you from the options below. You're a Freshman, transfer, or readmission interested in daytime programs. You want to learn more about the graduate programs available at our Ann Arbor campus or online. You're seeking a certificate or individual courses at our Ann Arbor campus or online. You’re a parent or just can’t be pigeonholed into one of the other categories.